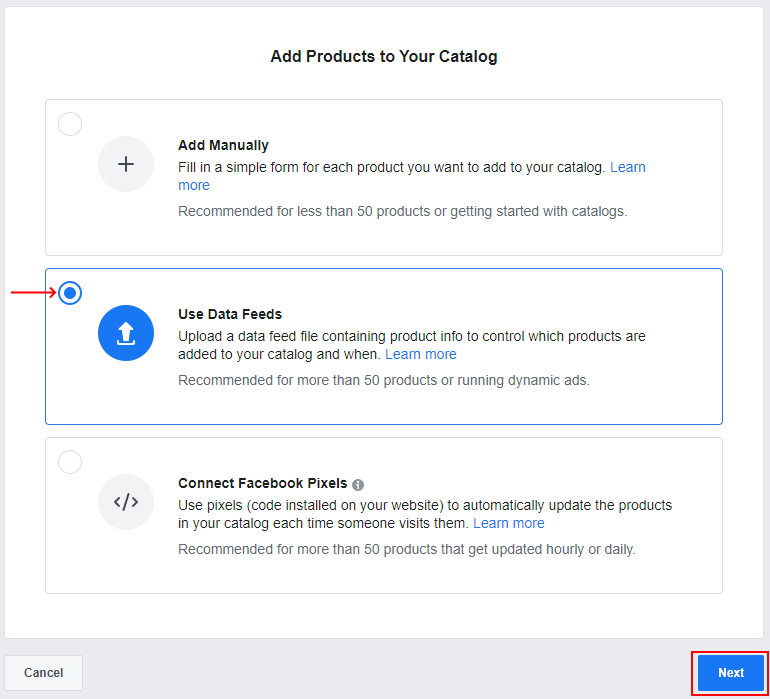 To create ads in different languages or for different currencies, you first have to create your own catalogs (one catalog per different "Country/Language/Currency" group) in the Facebook Business Manager. Click here to know how to do. 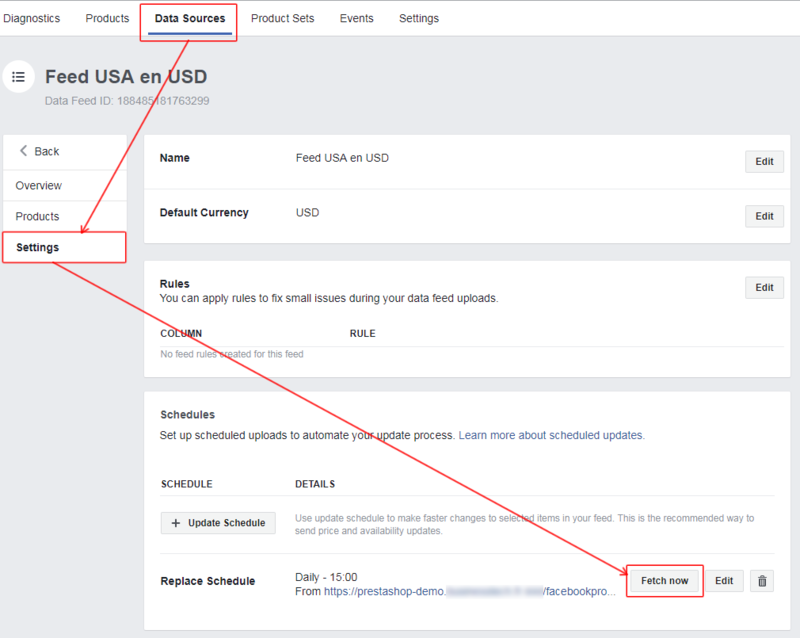 Then, you have to import the product data that match with each different "Country/Language/Currency" group in the matching created catalog. 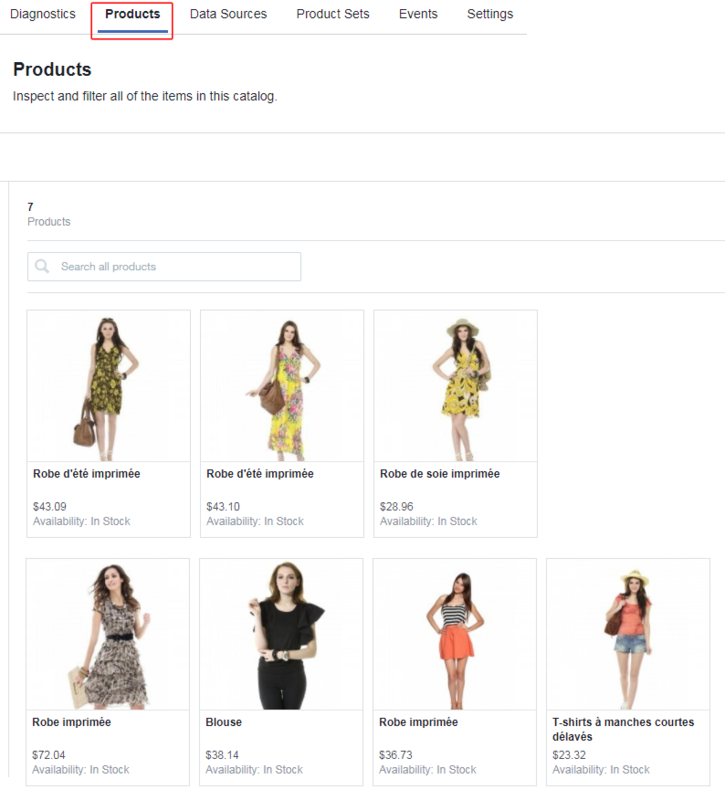 Important note: please note that to be able to add products to a catalog, you have to be "admin" of the catalog. 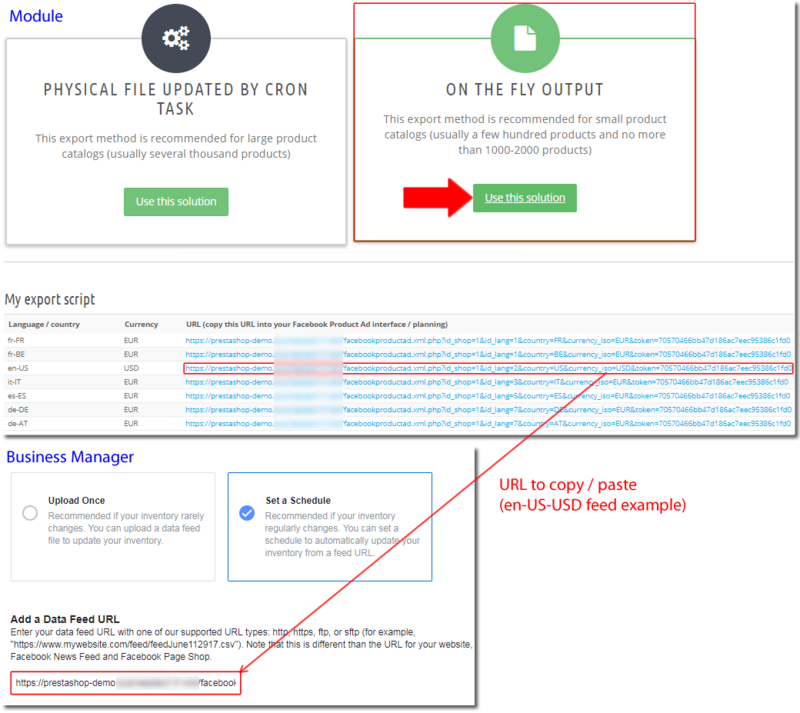 If you're just "advertiser", ask the company who has created the catalog to give you the necessary rights by giving you an "admin" role. 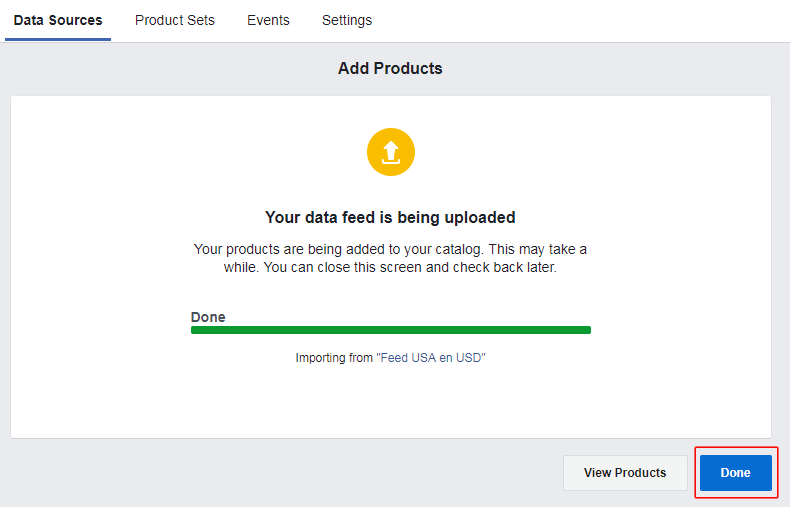 Re-start the previous steps for all your product catalogs (as a reminder, to a catalog corresponds a feed, i.e an unique "Country/Language/Currency" group). 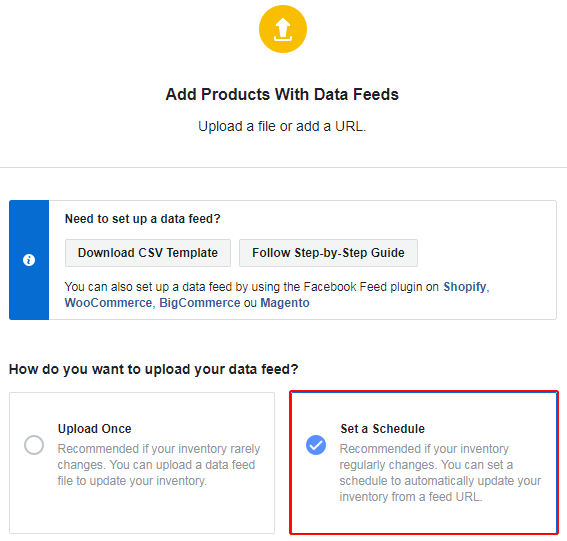 Don't forget that to track the activity of your customers and vistors on your shop, and to be able to set dynamic remarketing ads, you have to install a Facebook pixel on your shop. To know how to create and install it, click here. 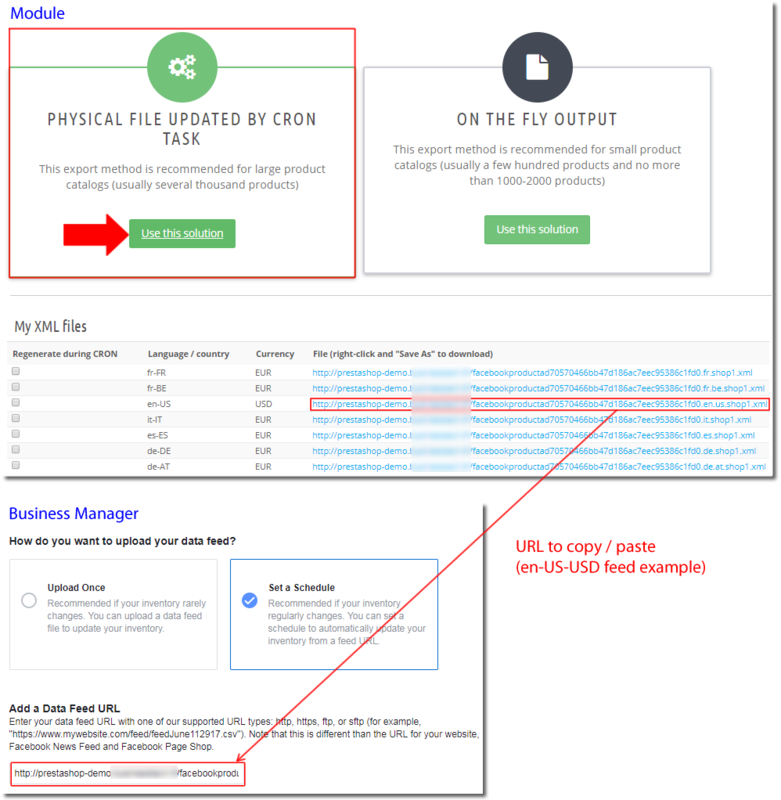 To test the pixel working, click here.